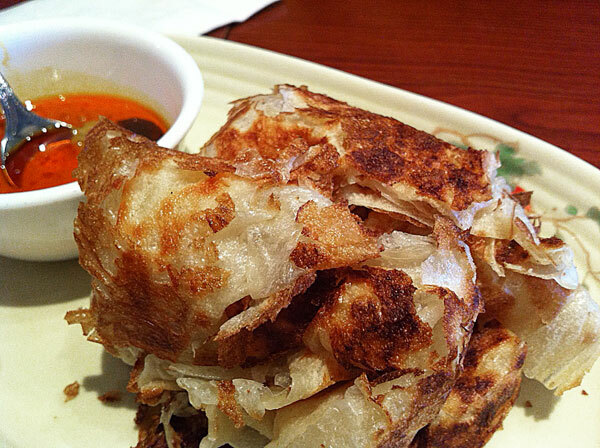 Started off with Roti Canai, a bread dipped in sauce – well done, crispy, light, and tasty. 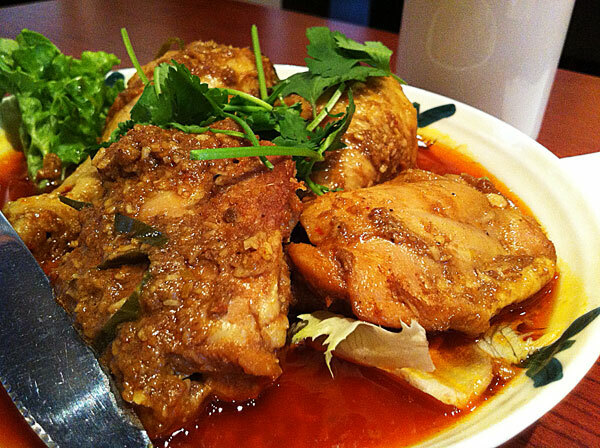 Next came our Rendang Chicken – fall of the bone marinated and coated in spices. 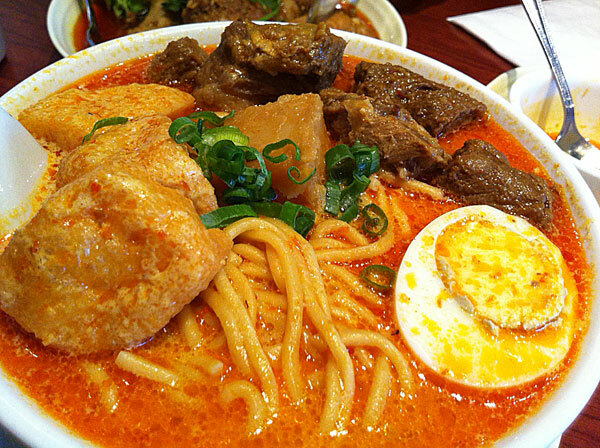 Laksa Beef Mix came with two noodle types and quite well flavored. 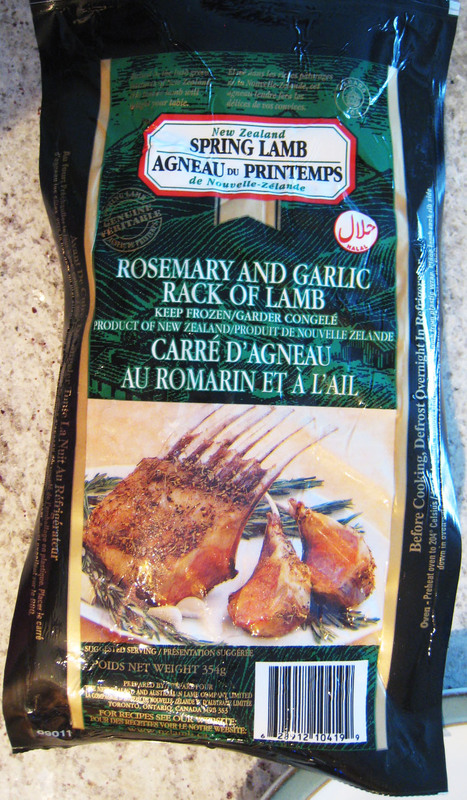 This dish was the best bang for the buck. 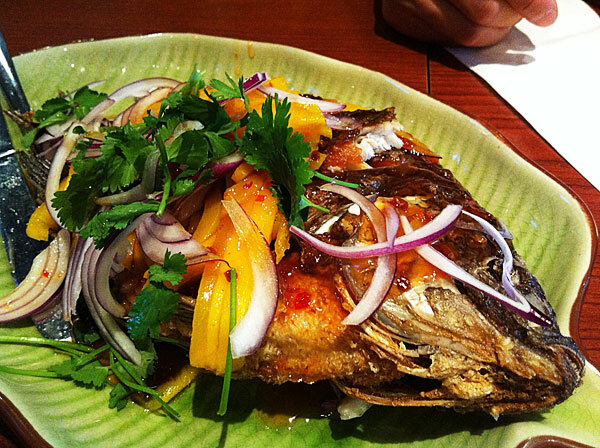 Mango Fish (talapia) – deep fried then covered in tangy and sweet sauce with ripe mango slices; it’s been a while since I’ve had talapia but it’s not my favorite fish flavor, so don’t think I’d go for this again. Bill came out to $62 (before tip) for 2 guys and a girl. We polished it off and it was the right amount of dinner for us. It’s on par with Tropica or Banana Leaf, but Banana Leaf is one notch better for the same price in our opinion.